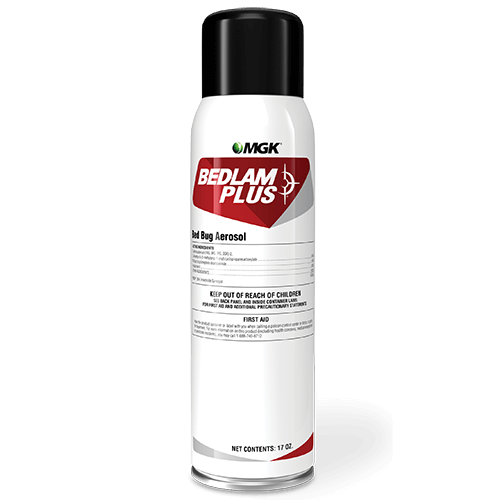 The adult Common bed bug is a broadly flattened, oval insect with greatly reduced wings (appearing wingless) and possess long, slender legs and antennae. They have a long, segmented proboscis that extends forward when the bug takes a blood meal. At rest, the proboscis lies beneath the body and projects backwards between the legs. Adults are brown and approximately 1/4" to 3/8" long (5-9 mm). After a blood meal its color changes to purplish-red and it becomes larger and more cigar-shaped. 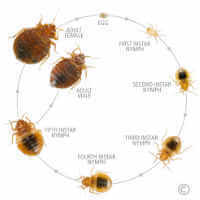 Immature bed bugs (nymphs) resemble the adult in shape but are much smaller, 1/16" (1.6 mm), when they first hatch. They are nearly colorless except after feeding. 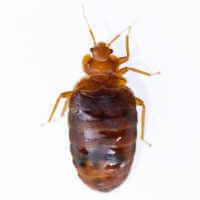 The tropical bed bug can be distinguished from the common bed bug by the shape of the pronotum. 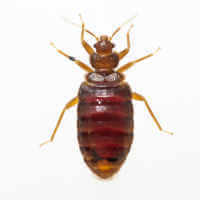 While the common bed bug has a U-shaped pronotum with rounded extensions near the head, the tropical bed bug’s pronotum is less U-shaped and lacks the rounded extensions. The bat bug can be distinguished from the common bed bug by the fringe hairs on the pronotum. The fringe of hairs on the bat bug are as long or longer than the width of the eye; the fringe-hairs are shorter in the bed bug.